The recent approval by the United States Food and Drug Administration of a clinical trial involving a product derived from human embryonic stem cells, along with recent concerns about unproven stem cell therapies being offered to patients, highlight the importance of regulation at the critical stage of beginning human trials of novel therapies. The regulations governing therapeutic products (drugs and related products) are one part of the broader legal framework, but will play an increasingly prominent role as we move into clinical translation. The classification of products as drugs or biologics, on one hand, or minimally manipulated cell and tissue products for homologous use, on the other, will determine the requirements that will apply, including whether use in clinical trials requires approval. Product regulation works alongside other parts of the legal and policy framework, notably research ethics review and legal responsibilities of medical professionals, that play important though limited roles. Three key developments and challenges currently facing product regulation and related areas will affect stem cell research in this phase: regulatory reform, fragmentation, and capacity. This commentary is based in part on research funded by the Stem Cell Network (Canada) core grant “Towards the Clinic? : Ethical, Legal and Social Issues (ELSI) Relevant to Emerging Stem Cell Therapies” and completed with the assistance of Bobbi-Jo Cammer, Jacqueline Shaw, Jodi Roach, Erin Schroh, and Arif Chowdhury (LL.B. students, University of Saskatchewan). Geron (2009). Geron Receives FDA Clearance to begin world’s first human clinical trial of embryonic stem cell-based therapy. News Release January 23, 2009. Accessed February 2, 2009, at http://www.geron.com/media/pressview.aspx?id=863. Geron (2009). FDA Places Geron’s GRNOPC1 IND on clinical hold. News Release May 14, 2008. Accessed February 2, 2009, at http://www.geron.com/media/pressview.aspx?id=840. Pollack, A. (2009). F.D.A. approves a stem cell trial. New York Times January 23, 2009. Accessed February 2, 2009, at http://www.nytimes.com/2009/01/23/business/23stem.html?scp=1&sq=pollack%20geron&st=cse. International Society for Stem Cell Research (2008). 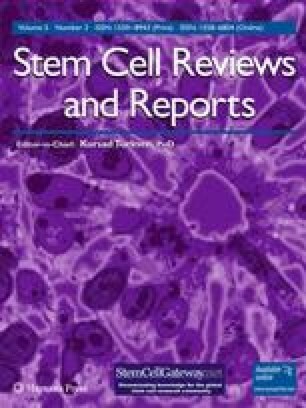 Guidelines for the clinical translation of stem cells. December 3. Accessed February 2, 2009, at http://www.isscr.org/clinical_trans/pdfs/ISSCRGLClinicalTrans.pdf. Scott, C. T. (2008). Weighing risks and rewards en route to the clinic. Nature Reports Stem Cells, December 18, 2008. doi: 10.1038/stemcells.2008.158. World Medical Association (2008). Declaration of Helsinki: ethical principles for medical research involving human subjects. Amended October 2008. Accessed February 2, 2009, at http://www.wma.net/e/policy/b3.htm. Health Canada (2008). Guidance document for industry and practitioners: special access programme for drugs. Health Products and Food Branch. Accessed February 2, 2009, at http://www.hc-sc.gc.ca/dhp-mps/alt_formats/hpfb-dgpsa/pdf/acces/sapg3_pasg3-eng.pdf. United Kingdom Medicines and Healthcare products Regulatory Agency (2008). Concept paper on the review of the regulation of unlicensed medicines. Accessed February 2, 2009, at http://www.mhra.gov.uk/Publications/Consultations/Medicinesconsultations/Othermedicinesconsultations/CON014086. Experts Committee for Human Research Participant Protection in Canada (2008). Moving ahead: Final report. Accessed February 2, 2009, at http://www.hrppc-pphrc.ca/english/movingaheadfinalreport2008.pdf. Canadian Institutes of Health Research (2007). Updated guidelines for human pluripotent stem cell research, June 29, 2007. Accessed February 2, 2009, at http://www.cihr-irsc.gc.ca/e/34460.html. Therapeutic Goods Administration (Australia) (2008). Summary of the human cell and tissue therapies framework. Accessed February 2, 2009, at http://www.tga.gov.au/bt/hctsum.htm.